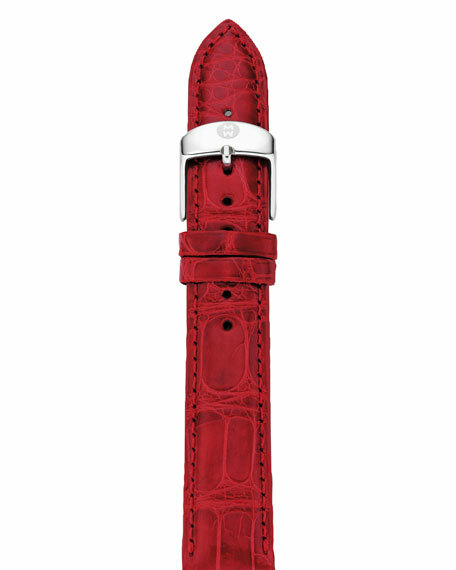 Give your favorite 18mm Michele watch an exotic upgrade with this alligator strap. Please note: Watch head sold separately. Alligator watch strap, backed with soft nubuck leather. Polished stainless steel MICHELE logo buckle. Easily interchangeable with all 18mm MICHELE watch heads (sold separately).